With trade talks between the US an China finally ramping up, reviving hopes that a deal might end a slump in global equity markets that has carried into the New Year, one would think ‘Taiwan’ would be the last word any investor wanted to hear. But we’ve been hearing it with an alarming frequency lately. From a belligerent Chinese admiral and from President Xi Jinping. And in a Wednesday speech to commemorate the fortieth anniversary of a landmark shift in China’s Taiwan policy, President Xi offered a vision of the future relationship between China and Taiwan that blatantly contradicts what Taiwan wants for itself – which is, more autonomy, if not outright independence, as the ruling pro-independence party has repeatedly insisted. Instead, Xi insisted during his speech that China reserves the right to use force to bring Taiwan to heel – but that peaceful “reunification” would be Beijing’s goal. Xi has made resolving the “Taiwan issue” a priority. Xi has set great personal store in resolving what the Communist Party calls the “Taiwan issue,” holding a landmark meeting with then Taiwan president Ma Ying-jeou in Singapore in late 2015, just before Tsai was elected. Xi argued during his speech that the “one country, two systems” model of governing Hong Kong would be ideal for Taiwan (something that the people of Taiwan vehemently oppose). 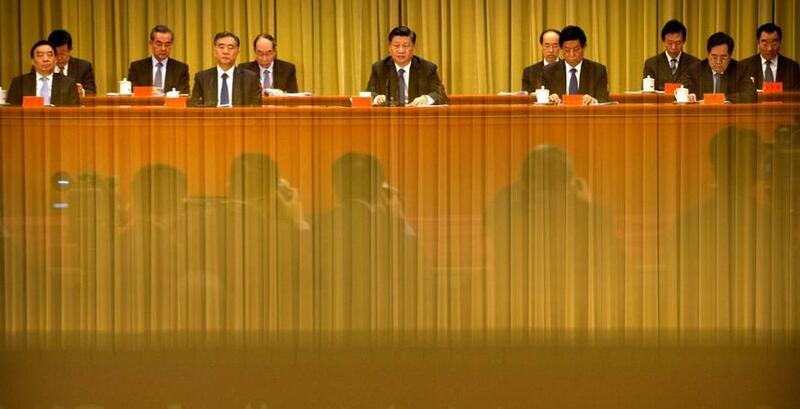 Xi told the audience, which included Taiwanese business people, that independence for Taiwan would be “a disaster”. He said “reunification” must come under a one-China principle that accepts Taiwan as part of China, anathema to supporters of Taiwan independence, adding that the “one country, two systems” model of autonomy, with which China governs Hong Kong, was the best way for Taiwan. The vast majority of Taiwan’s people are clearly aware that Taiwan independence would lead to a “grave disaster,” Xi told an audience that included Taiwan business people and senior party officials. And while “Chinese people don’t attack Chinese people,” Xi said China’s military wouldn’t hesitate to resort to violence against foreign interlopers – a veiled reference to the US. “Chinese people don’t attack other Chinese people. We are willing to use the greatest sincerity and expend the greatest hard work to strive for the prospect of peaceful reunification,” Xi said. “We do not promise to renounce the use of force and reserve the option to use all necessary measures” to achieve this goal and prevent Taiwan independence, he said. In what experts said marked his first overt hint that China actively interferes with elections in Taiwan, Xi said the mainland had succeeded in “frustrating” Taiwan’s independence movement and “other separatist activities,” according to CNN. Meanwhile, Xi’s speech followed a new year’s address delivered by Taiwanese President Tsai Ing-wen, who called on Beijing to “face the reality of the existence of the Republic of China.” Her remarks come after her pro-independence party suffered a serious defeat in elections last fall, where voters expressed support for closer ties with Beijing. 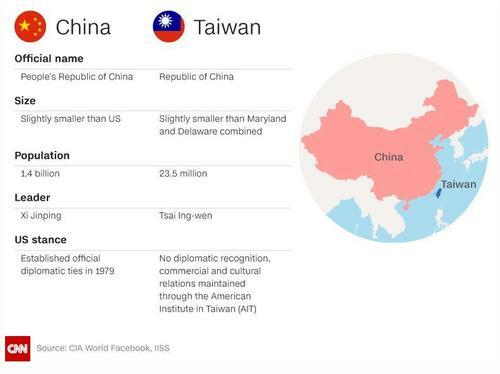 This much is clear: While Taiwan is satisfied with the status quo, Beijing is growing increasingly uneasy – evidenced by Beijing’s incessant military posturing in the Strait of Taiwan. And if markets are fearful about a collapse in the global trading order due to the US-China trade spat, imagine how they would react to saber-rattling between Beijing and Washington over Taiwan.